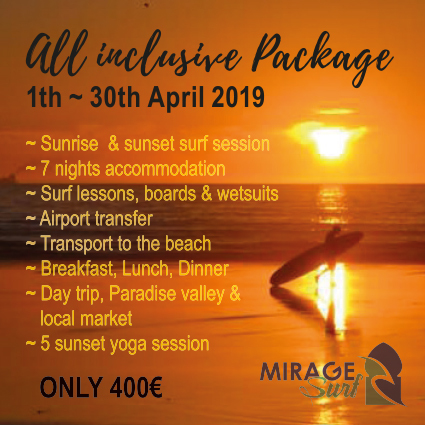 At Mirage Surf, we seek adventures beyond the moroccan waves, discover what other adventures and excursions we offer. Take an alternative adventure by exploring Paradise Valley, located just 30km from Agadir. Cliff jumping, swimming holes, hiking, all surrounded by palm trees and archaic rock formations. The vast, expansive valley with blue waters and high rocks with hidden treasures gives no wonder to the name Paradise. The longer you stay, the more wondrous it gets. A day trip to Paradise Valley can be a substitute for a day of surfing. Get whisked away to the days of the Moroccan Cavaliers. Morocco’s landscape is not only rich with coastlines, but full of mountains just a few kilometers away. We have a local horse and camel ranch that offers up both beach and mountain rides. For a more leisurely stroll and a comical yet nostalgic experience, hop on the hump of the camel. Fit right in with the locals! If you want to rip down the coastline, jump on the back of the horses. If you’re not ready to go fast, that’s okay. All levels of experience for Horseback Riding are available! Excursions are available for both the beach or for a trek through the mountain. Hammam is a Moroccan specialty, which consists of a steam bath and an Argan scrub. This is no light scrub – it’s a totally rejuvenating exfoliation that leaves you feeling like new. A hammam uses Argan paste and oil to clean up and rehydrate the skin. Following the hammam, you’ll be treated to an invigorating yet relaxing hour-long massage to stimulate blood flow and continue the rejuvenation process. If you book a girls week, this is already included. The Agadir Souk (or market) is a rich, colorful, and cultural experience. From local fruits and foods to some of the best second-hand clothing shops, you can see a wide variety of goods. Have a traditional mint Moroccan tea and enjoy strolling through the market. Find a scarf or two, have a go at haggling the price of something you fancy, or just enjoy seeing all the bright colors and listening to the buzz of people around you. Taghazout Bay is Berber country and the biggest Berber town in the area is Taroudant nestled in the foothill of the mountains. Boasting of 70.000 inhabitants it still feels incredibly cozy and sitting on the main square on one of the cafés watching the local life after stocking up on superb Berber handicraft from the local market is absolutely worthwhile. Another mountain Berber Town worthwhile visiting is Tiznit if you wish a change from the daily coastal scenery. The Unesco heritage coastal town of Essauira is a 3 hour drive from Taghazout Bay. Known for its incredibly charming old town, the old fort surrounding the city offering unrivaled sea views and having been used in many films including Game of Thrones, great eateries and a white sandy beach. Can be combined with a detour to Sidi Kaouki an upcoming surf spot for a quick surf session or just for eating freshly grilled fish while enjoying the stunning beauty of the lazy Sidi Kaouki Bay. Sidi Ifni or Mirhlet are other upcoming surf spots in the south that both boast of scenic nature, lazy underdeveloped fishing villages and great waves. Because of the distance, going to these places will demand staying overnight.  We can organize this for you or set you up with a hired car including itineraries and suggestions for sleeping options. Imsouane is another surf gem boasting of possibly the longest right hand break in Africa. It is truly addictive surfing there and we locals just call it “the bay”. We can organize a day trip going there and the drive up there is nothing less than world class in terms of costal and mountain scenery. The area also boasts of immense sand dunes, that we sometime “dune glide” on surfboards. This is ridiculously funny and definitely worth the detour. El Jadida and Safi are other costal gems. They both require a hired car and several days on the road. There’s plenty of surf along the way should you wish to catch a few waves and we can supply you with all that you would need for an absolutely unforgettable road trip of the African coast line. Hiking up “Tamraght Mountain” that you can see behind the surf camp offers stunning views of Taghazout Bay to one side, Aourir village and the river bed to the other and the lost foothills of the region to the third side. Nothing beats a pick nick up there and we will be happy to take you there. The neighboring village of Auorir has got one weekly market day. Aourir Market is much smaller than Agadir Market but it is truly local, so going there offers an absolutely authentic market experience. Do you dream of riding a quad or a buggy, this is also available in Tamraght, so just let us know and we will make it happen. Morocco boasts of a lot of unique craftsmanship and we can take you to see the craftsmen or craftswomen working. Whether it is pottery, furniture carving and decoration, leather works, jewelry, metal carving to name a few, we can take you to see the crafts being made live. The same goes for Argan Oil production. The argan tree only grows in Morocco and from its nuts Argan oil is produced by hand. The oil is known for its abundance of virtues and vitamin E and is called the liquid gold of Morocco. It’s edible but is also widely used for cosmetic purposes. Try some on your skin after a day in the sun and you will most likely be addicted straight up. We can take you to an argan farm and show you the production of the gold or if you just want to buy some argan oil, we can supply you with superb quality from local farms. Henna tattoos on hands or feet are widely used in Morocco and if you find it as beautiful as we do, we will be happy to set you up with a local woman who will come to our camp and give you the tattoos you dream of. They will disappear after a couple of weeks, so you don’t have to worry about later regrets☺ . The desert is magic. Nothing more. Nothing less. If you want to experience the magic, we have teamed up with some great individuals from Sahara, who will give you an unforgettable experience. You will need to invest at least 4 days to get there and stay and we recommend that you do this either before or after the actual surf camp but are happy to tailor whatever solution, that would work for you. To get under the skin of a country, try getting busy in the kitchen when you’re there. Local food can teach you much about a society and its traditions; learn to cook a signature dish or two and you also have a souvenir that you can easily recreate at home. After all, what better way to evoke the memories of a trip than with the same mouth-watering smells that wafted through the markets and restaurants you visited?